The quotes of Garden, rightly puts up that a smile can cause boundaries to melt, hearts to warm up and distances to reduce. 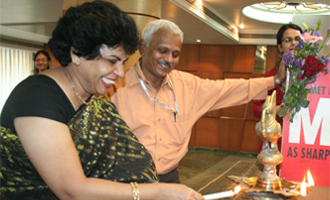 The family of MET Institute of Pharmacy hosted MET Emote on March 28, 2011. This year the podium of MET Emote saw a huge wave of laughter gushing in the auditorium.